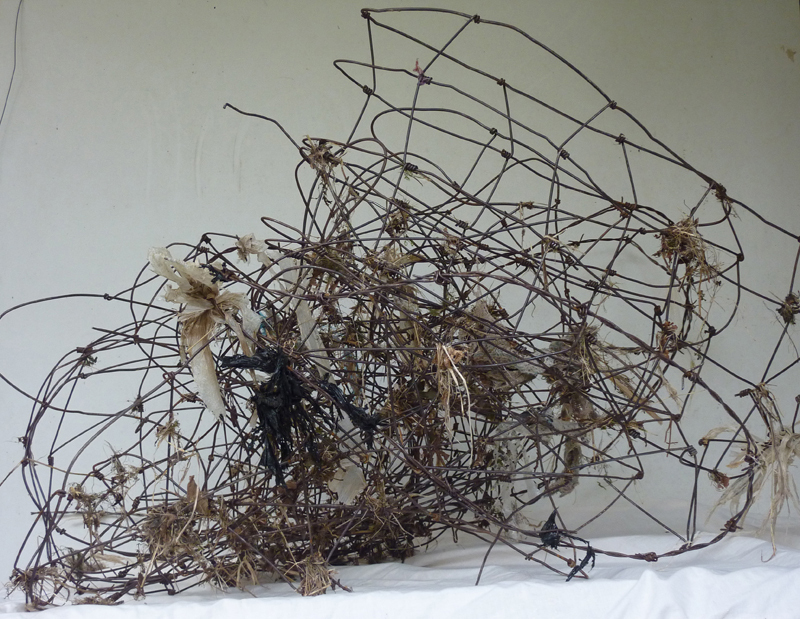 Entanglement is comprised of an entangled mass of human and non-human debris, including barbed wire, shredded plastic bags and grass. It was retrieved from the River Harbourne, close to where I live in Devon. 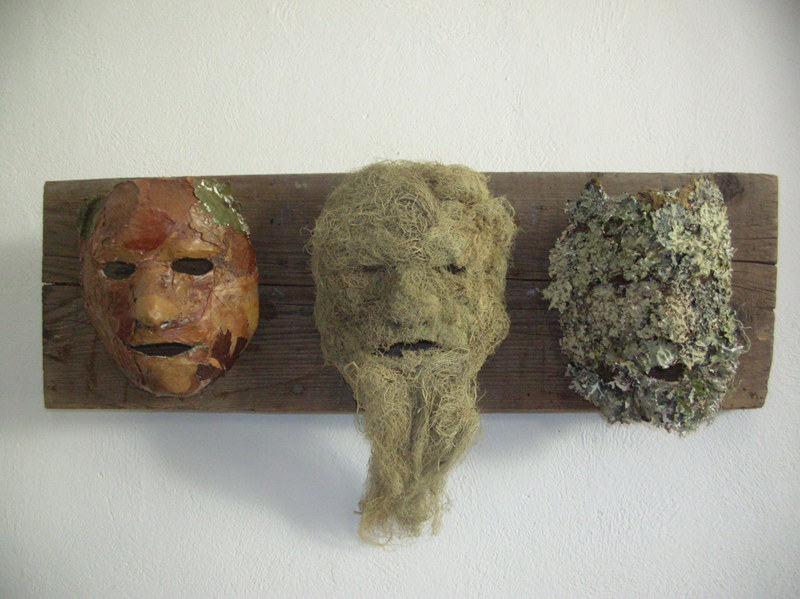 The piece serves as a visual representation of Professor Timothy Mortons’ ‘mesh’ (the interdependence of all living and non-living things), being in itself co-created by the river, the artist and a host of other actants too numerous to mention. 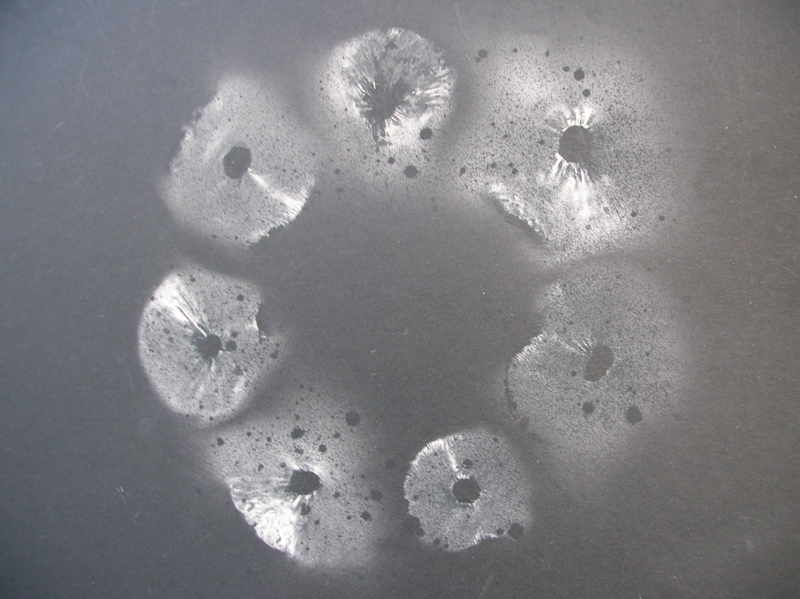 Thus, the work calls attention to making as a process of co-creation between the human and the non-human. 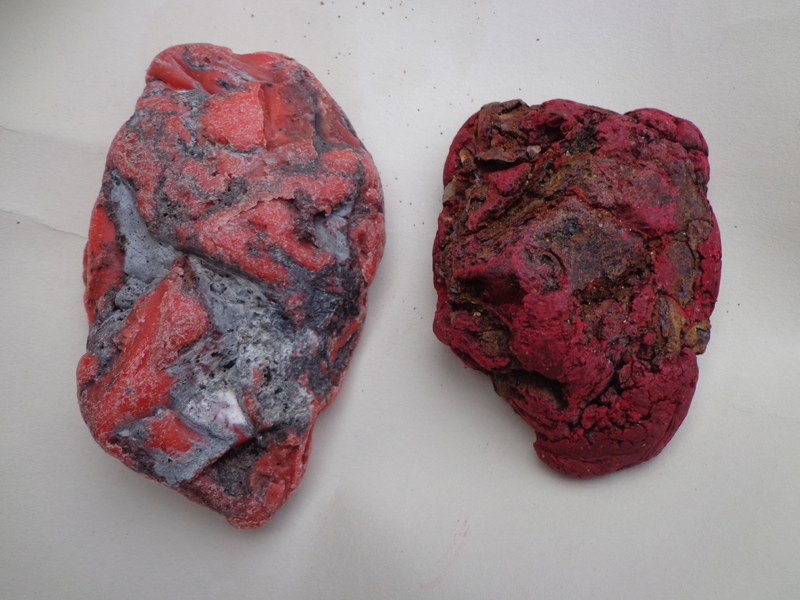 Rocks of the Anthropocene can also be termed as a collaboration between the human and the non-human, the two ‘rocks’ being made up of a mesh of plastic, paint, metal and stone. The fact that these ‘rocks’ are almost indistinguishable from their non-manufactured counterparts and were found on a beach, lying amongst other rocks, brings to the forefront their anthropocenic status. 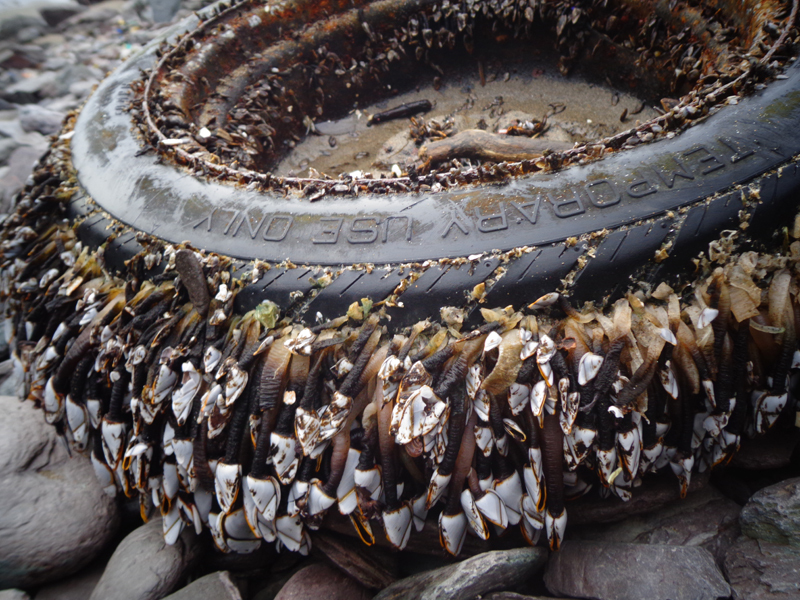 The ‘rocks’ were collected from a Cornish beach strewn with washed-up refuse, including an old car tyre that has become home to a colony of sea creatures – another example of the anthropocene. Temporary Use Only, a photographic work, portrays this assemblage of technology and marine life. The title is partly derived from the words printed on the tyre, but it is also a comment on our throwaway society and conversely, the not-so-temporary repercussions of dumping waste into the ocean. 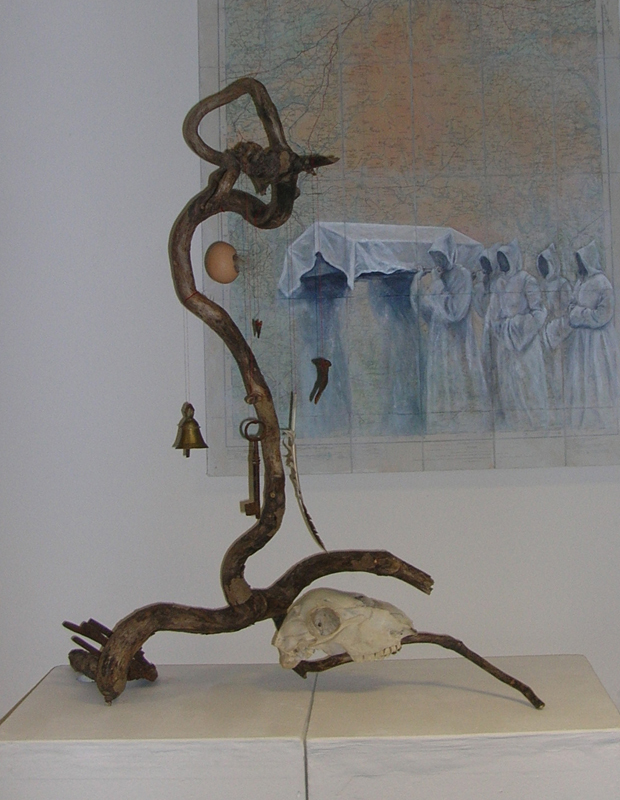 The Tree of Charms showcases a number of objects that have been used historically as protective, healing, good-luck or wisdom-inducing charms in Britain – an owl feather, a bent nail, a bell, an eggshell stuffed with horsehair, a sheep’s skull and a Neolithic arrow head . In the Anglo-Saxon period Neolithic arrow heads were believed to be fired by elves. Thus, these prehistoric flints were carried or worn as amulets in order to protect one from being ‘elf shot’. According to the magazine ‘Man, Myth and Magic’, an eggshell stuffed with horsehair was rubbed on a patient’s body and then thrown into the street, transferring the disease to whoever trod on it, although when this tradition began or where it originated from is unclear. Red thread was used to hang the objects, since this has been used as a form of protection against the evil eye since the medieval period. As for the tree itself, a twisted one traditionally symbolises magic. The Crow Man appeared suddenly at my door one day, so I invited him in for a cup of tea. He let me photograph him and we’ve been the best of pals ever since.